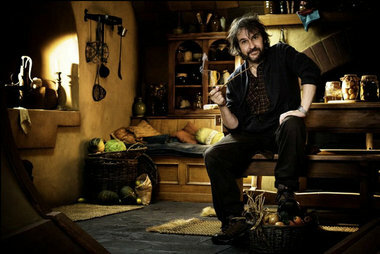 Kiwi director Peter Jackson has always been great to fans, indulging them with extensive production diaries that include and to an extent involve them in the process of making a movie. This week, he was nice enough to do a video showing fans the special equipment that’s being used to shoot ‘The Hobbit’ in 3D. Although 3D has its fair share of detractors, this is a really cool featurette and definitely worth watching if you have any interest in film and its evolving technology. In other news, I hope everyone’s NaNoWriMo is going well. I have personally fallen flat on my face with my NaNoWriMo goal, but the good news is that if you fall flat on your face, you can take a nap while you’re there. Which would round out the worst motivational poster ever. My rambling is more or less my concession for this year, but if you’re going strong, keep at it. You’re off to a great start! Also, it can’t be ignored that for some inexplicable reason, MGM has decided to make a ‘Where’s Waldo’ movie, which will see them packing people into theaters to squint a lot at a really big screen. Either way, links. This entry was posted in Monday's Writing Links. This entry was tagged China Mieville, Conor Dempsey, Free Pizza, Peter Jackson Interview, Peter Jackson on set, Sf Signal, The Hobbit 3d.